I have shared my journey towards the CCIE RS in 2011 and I wanted to share it again with you. 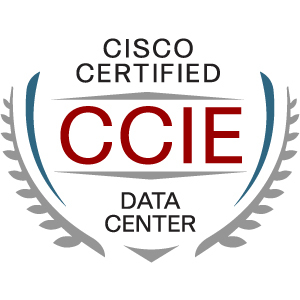 I passed the CCIE DC lab exam one month ago and it was tough, long, hard,arduous, baffling, difficult, exacting, exhausting, hard (yeah I already used it on purpose 🙂 ), intractable,perplexing, puzzling, strenuous, thorny, troublesome, uphill. As soon as I failed my CCIE Voice exam, my frustration went so high and I needed a break from the Voice exam a little bit. The Data Center exams were released by Cisco and I always wanted to be involved in a Data Center infrastructure project. I immediately decided to jump into the DC field and start to climb the (infinite) ladder. At this time my DC infrastructure background wasn’t enough to pass the CCIE DC Written, I decided to spend a year reading books and solidify my knowledge. First and foremost the CCIE DC blueprint is like any CCIE DC, it is VERY large. As an expert that will face customers and other experts, you definitely have to dig very deep to understand what’s going on in every section of your infrastructure (Compute / Storage / Infrastructure). In my previous CCIE Journey post I used this expression from Brian McGahan: “a CCIE journey is not a short race, it is a marathon”. 4 years after, this applies even greater today. If you have a family, you better have to have a very supportive wife/husband. My wife is the most supportive person I’ve ever met. We had our 3rd baby 10 months ago and my daughter couldn’t sleep at night. My wife was taking care of all 3 children 24/7 while I was studying. She even stayed at my parents home for several weeks to make my study time more efficient. After all, I can say that we are both CCIE RS-DC right now :).She deserves the title as much as I do … I am pretty sure that the CCIE exam is easier than taking care of the children. What I am trying to say here, is that you have to be dedicated to this exam. I already mentioned before but I read LOTS and LOTS of books. I will give you my list very soon but first I would like to start with one of the best technical book I have read in my entire career. Data Center Virtualization Fundamentals written by Gustavo Santana is definitely the best Data Center book out there. If you have some Routing and Switching Skills, you probably read the very famous Routing TCP/IP Books (Volume 1 covers IGP and Volume 2 covers BGP,Multicast and IPv6). All I can say is that Santana is as awesome as Doyle. I don’t want to overemphasize but I really enjoyed every words of the book. I was almost ready to sit the CCIE DC Written exam but I decided to solidify all the theory I have gained throughout the year. In order to do that I gave a look at CCIE Training vendors. First I never really picked up a vendor. I tend to prefer to choose an instructor. I went with INE and Micronics Training for my CCIE RS because I heard from close friends that Brian McGahan and Narbik were top notch instructors (and they are). For my voice studies, I went with IPX because Vik Malhi is the best Voice Trainer I’ve ever met (Since that time, Vik has its own training company CollabCert, you should definitely give it a try if you are interested in collaboration). So in my opinion, students should not pick a vendor, they should pick an instructor and an instructor that meets your personal requirements. Maybe McGahan, Kocharian and Malhi are not the best for you but I can tell you from my personal experience that they are the best for me. Choose wisely ! A training vendor business is to make your studies time efficient. 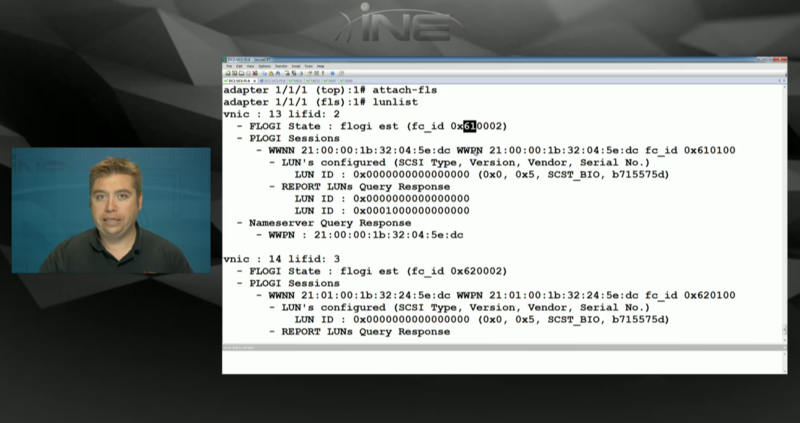 The INE videos are matching all the blueprint : Nexus / Storage / UCS. There is another useful (free) resource available for you guys: Cisco Live Portal. This place is the place to watch deep dive videos regarding every Cisco topic! For the DC stuff there are many listed by Brian McGahan on its “how to pass the CCIE DC” blogpost. The lab is a complete different story and I didn’t really relied on any vendors regarding the workbooks. I used INE and IPX for my online bootcamp but I will cover that later. So regarding the workbooks, I didn’t really use any of them … I just did a few lab here and here from both vendor but I didn’t really like it. I just wanted to read the config guide, build the infrastructure and then run every show command I could. 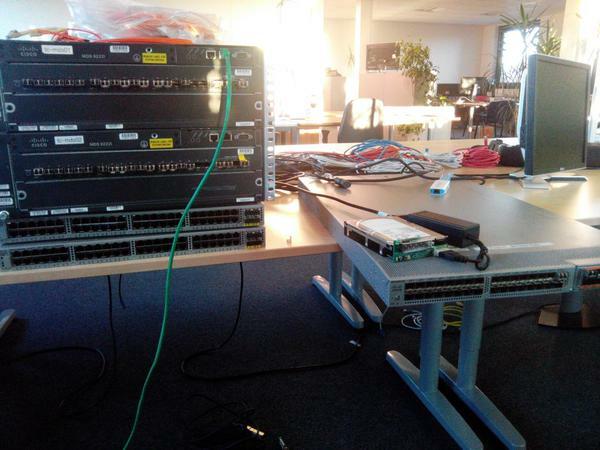 For CCIE RS and Collaboration, it is very easy to host a rack in your home or at work. For the DC track, things can get more tricky since you will need a N7K (with VDCs you slice your switch into multiple virtual switches, don’t worry it is part of the blueprint 🙂 ), 2x N5K ,2x Nexus 2232 PP (in order to run FCoE), 2x MDS (9222 is my choice) and a small JBOD (I will make a separate post to show you how to build the cheapest JBOD ever 🙂 ). 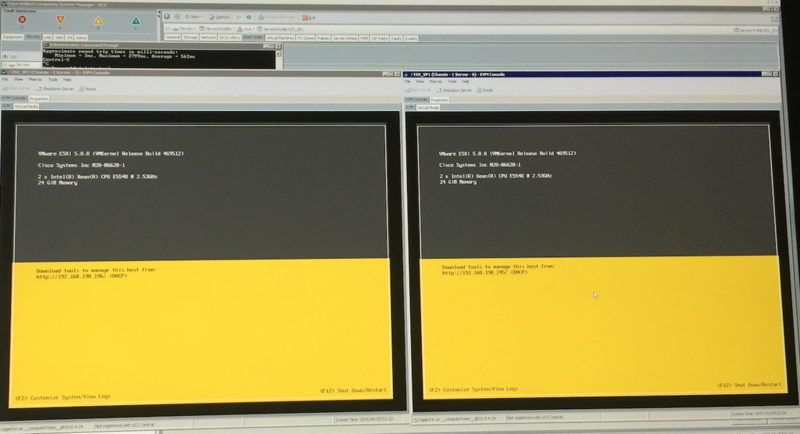 INE and IPX racks can be very busy if you want to book the racks with UCS … I also recommend to use the Cisco UCS Platform Emulator on your own laptop (run on ESXi as well if you have a virtualization lab). You can do almost everything with it (except booting your favorite Operation System / Hypervisor). My local Cisco SE (Vincent, thank you so much !) was kind enough to let me borrow 2x N5K with some FEX and 2x MDS 9222i. I have built a cheap jbod and I could test 100% of the storage feature for the lab exam. 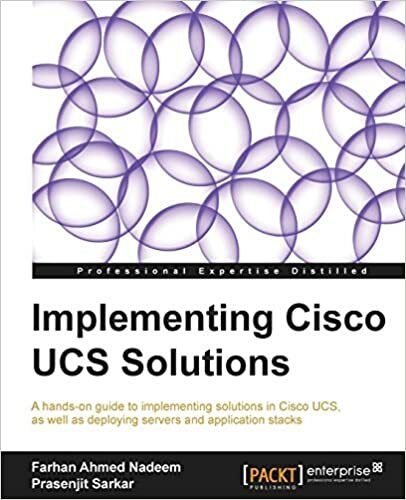 I think the most valuable resources to practice is the Cisco Partner Education Collection . There are so many labs and hardware there (sometimes fully booked of course) than you can spend countless hours of labs … Joel Sprague (which is an MVE [Most Valuable Engineer] I met during my studies) did a very good job by posting all the valuables labs that you can do with the Cisco PEC. I didn’t do ALL of them but the vPC / Fabricpath / UCS / N1000v are definitely mandatory … The UCS is one of the best because you can boot from SAN and the UCS is yours for 8 hours and for free.. Nothing can beat that ! Even if you are studying for the CCIE LAB exam and that you know that you are going to spend 8 tough hours configuring weird things, you still need to read a lot in order to configure your infrastructure. I would recommend to read almost all the configuration guides related to the blueprint for the Nexus. For UCS and MDS, You can periodically check but there is no need to read everything like you should do for the nexus part. I have watched both INE and IPX videos regarding the CCIE lab exam, McGahan and Rick Mur videos are perfect ! McGahan for INE was in charge of storage and Nexus while Snow was in charge for UCS. I also attended 2 CCIE online bootcamp from INE (McGahan Again) and IPX with Jason Lunde. Both did a great job. So I went to Brussels on July 10th and I was very pleased by the proctor (if you read me, I would like to thank you. The experience was great). The exam is fair, it is hard but fair. There are no second guess like I had in voice. Questions were very precises and if I didn’t understand everything in the question, the task title made me clicked in my head : “Gotcha”. You have to CAREFULLY read the tasks. If Cisco is asking for an ACL named MYCCIEDCLAB, you will not get the point if you configure it MYCCIEDCLAb. Even if your configuration is correct, they will look for the right naming convention. If you want to prevent all sorts of easy mistakes, your best weapon is the CTRL+C , CTRL+V. I can tell you this is the best thing you will ever need in the lab. Notepad is so useful as well ! During your daily job you would still do it right ? What if you want to configure vlan 100,200,300,400,500,600 in all your devices (let’s assume VTP is bad … wait a minute … it is bad .. in my opinion 🙂 ) You would open a notepad, type your commands , and paste into all devices right ? My advice is to do the same for your CCIE Labs. I finished the lab with 1 hour left. Now the critical thing to do was to stay there and look for small mistakes I could have make during these very long 8 hours. I found some and for every tasks I checked that what I did was still working and that 100% of the requirements were met. Finally I left the building and asked the proctor when can I expect the results to be delivered. He told me : “within few hours” . I thought he was making fun of me but he was right. I went to the airport to meet a friend from Belgium and I received the score report notification. So what’s up to me now that I am a double CCIE. In the beginning of the post I said that I started to climb the infinite ladder, what does that really mean ? It doesn’t mean that now that I am a CCIE, I can rest and that I can live like that and that my knowledge will stay at the same level through my career. People who think they are done with learning are wrong. Knowledge has to be sustained ! I still have to work on every protocol if I want my knowledge to be intact. I also have to learn new emerging technologies like Dev-Ops (not new but still new to me) / ACI / NSX etc etc in order to become a better engineer ! I hope you enjoyed the blogpost and in the meantime, if you have some questions, you can leave a comment below.